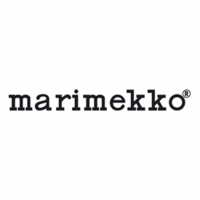 More about Marimekko Unikko Black Esteri Shopping Bag A chic alternative to briefcases or backpacks, the Marimekko Unikko Red Esteri Bag can carry what you need plus what you want. 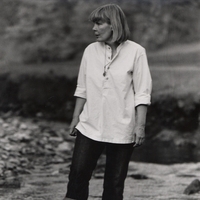 The zippered interior is split into a middle main compartment and two large side pockets with a button closure. Store a tablet, small laptop or books in the main compartment and still have room for your phone, keys and wallet. Made from 100% cotton canvas, the convenient carrier has two sturdy handles for wear on your shoulder or by hand. It also works great as a shopping bag for an eco-friendly and fashionable way to run errands. 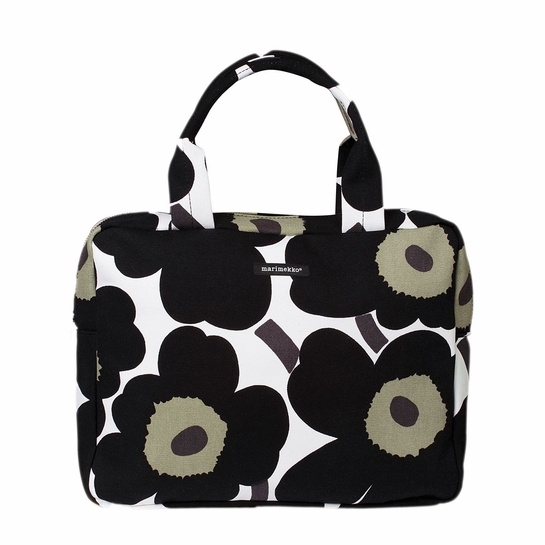 I love all things Marimekko, this bag is another addition to my collection! Excellent sized bag for a day outing around the city especially if you are running errands. This can contain your wallet, car keys, cellphone cosmetic case. However I would take an additional carry bag if you wish to purchase groceries, items from stores and files from work. Easily identifiable bag especially if you are back in the office with workmates with similar workbags! Hi, I am wondering what the drop length of the straps is on the Esteri Shopping Bag -- can one easily slip one's arm into the bag if the forearm is bent? Thanks! The drop is 6 inches. It can easily be held on the arm at the elbow.